Breaking news! The romantic musical “Bakwit Boys," is graded A by the Cinema Evaluation Board (CEB)! 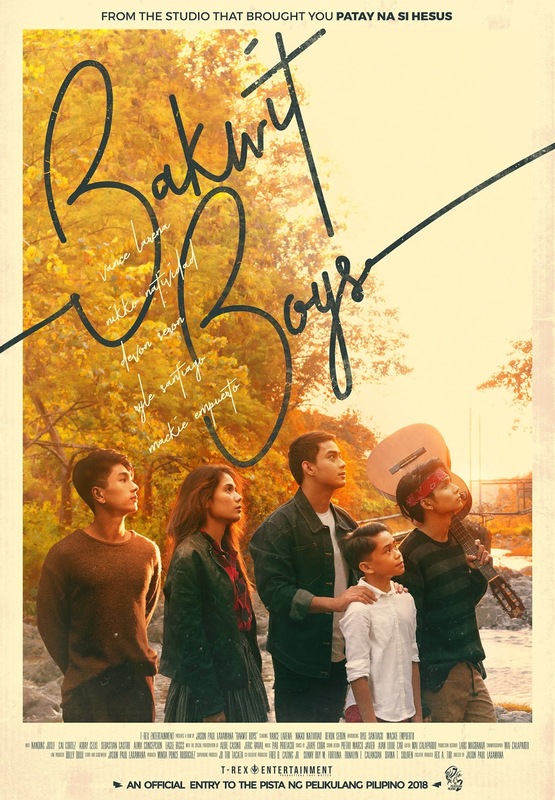 “Bakwit Boys,” an entry in the Pista ng Pelikulang Pilipino (PPP), is the latest from writer-director Jason Paul Laxamana who also made the blockbuster “100 Tula Para Kay Stella,” and T-Rex Entertainment, the producer of the hit comedies “Deadma Walking” and “Patay Na si Hesus.” It is set to play in cinemas nationwide from August 15-21. The inspiring movie brings together the break-out artists in the biz: rising actress Devon Seron; stage heartthrob Vance Larena; noontime TV idols Ryle Santiago and Nikko Natividad; and singing champion Mackie Empuerto in a tale about four brothers and the dreamer who motivates them. As a super typhoon ravages the hometown of a family band composed of four brothers, their musical pursuits are put to a halt. They are forced to move from Isabela all the way to Pampanga to stay with their grandfather. While taking refuge in this distant farmland, the Datul brothers, who make songs together as the family band “Bakwit Boys,” put their musical talents to good use. The eldest brother, Elias (Vance Larena), is the band vocalist together with the youngest, Sonny (Mackie Empuerto), while Joey (Ryle Santiago) plays the guitar and Philip (Nikko Natividad) composes their songs. Not wanting to burden their grandfather, they agree to perform their original song in a town fiesta to earn some cash. Their performance impresses Rose (Devon Seron), a rich city girl who is passionate for music. She offers to help the boys record their songs and have them played on the radio. Individual interests and personal conflicts test their unity as a family and a band, as they struggle to make sense of life’s ironies and tragedies.